rodents and other nuisance pests found in Queens. Queens for over 50 years. 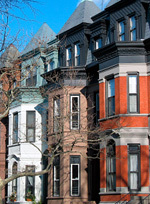 preventative strategy to rid you of rats and mice in Queens, NY. get rid of these pests in Queens. Mice and Rats are the most common pest problems for homeowners during the winter in Queens, NY. Magic Pest Management provides pest control and exterminating services to all of Queens, NY, as well as the rest of New York City and Long Island. Hire our Queens Exterminators to take care of problems with bedbugs, termites, roaches, rats, mice, and other pests. Magic Pest Management is a full service extermination company that offers all forms of pest control to your home and property. Our Queens Exterminating company, based out of Flushing, NY has a full time entomologist on staff to assist you with any pest control problems. In addition, Magic uses various alternatives to chemicals for business and homes that may require special attention because of medical reasons.